With the picturesque backdrop of an expansive golf course and Torquay and Jan Juc beaches, RACV Torquay Resort is a tranquil location for a luxurious escape – and all within easy reach of Melbourne. 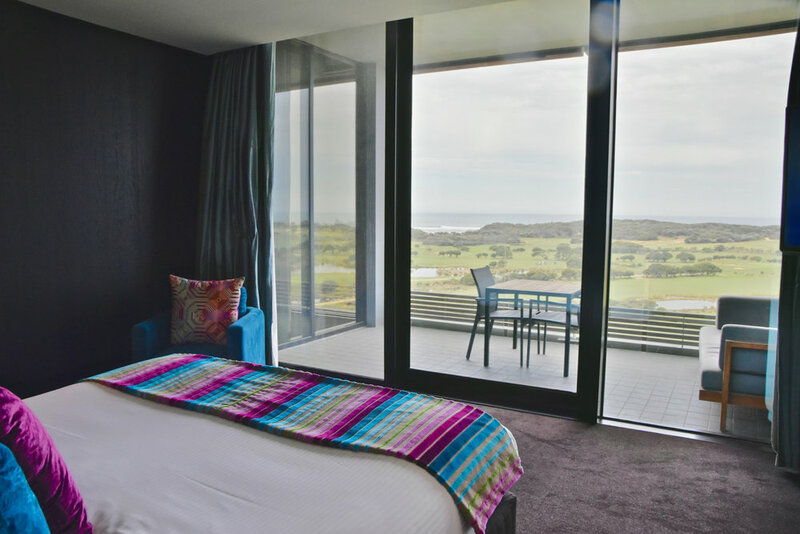 The Gastrology team were therefore understandably excited when offered the opportunity to head down to the RACV Torquay Resort for some serious R&R. RACV Torquay caters for all wants and desires, boasting direct beach access and a range of facilities including a day spa, indoor pool, and restaurants and bars (ranging from family friendly to more upmarket). Golfers are also extremely well catered for with a challenging 18-hole traditional links-style golf course. We were delighted to be put up in the plush Ocean Spa Suite with simply stunning views over the golf course through to Torquay beach. The stresses of the city immediately evaporated as we gazed out from the huge windows. The room was modern, stylish and featured numerous luxurious touches such as the floor to ceiling stone bathrooms (complete with premium Biology amenities) as well as a Nespresso machine, wonderfully comfortable king size bed, pillow menu and, of course, all of the other features you would expect from a resort of this calibre. 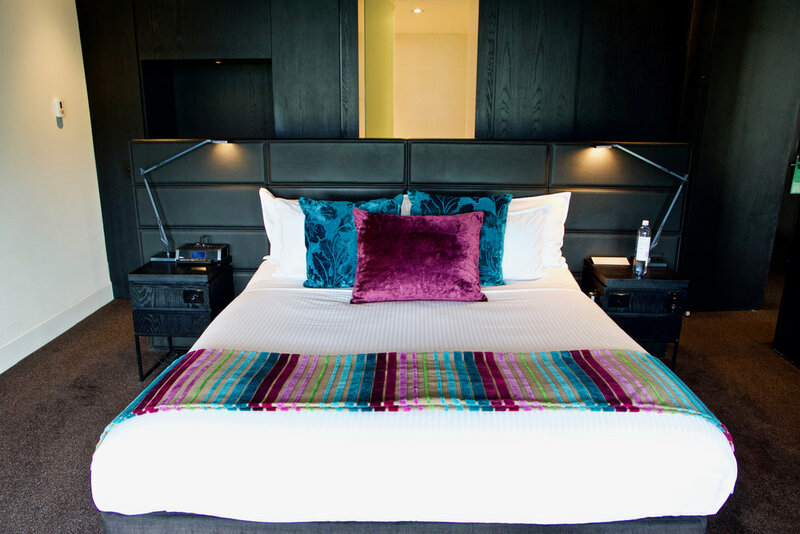 We loved the spaciousness of the separate living and bedroom areas plus a private balcony. And to top things off, it was wonderful to luxuriate in the deep-soak Roman spa bath. The room was also incredibly quiet, preserving the sense of serenity. 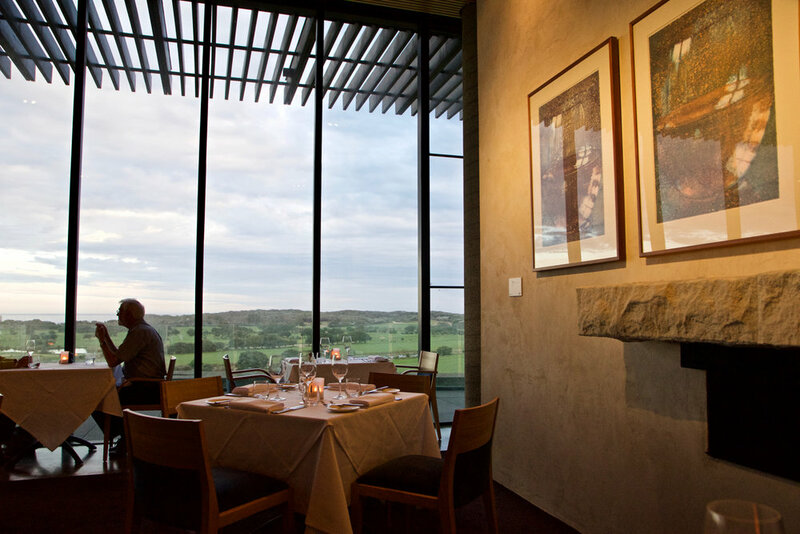 Located on the second floor of the RACV Torquay Resort, Number One Restaurant and Wine Bar offers delicious modern Australian cuisine in a relaxed space of cavernous proportions. 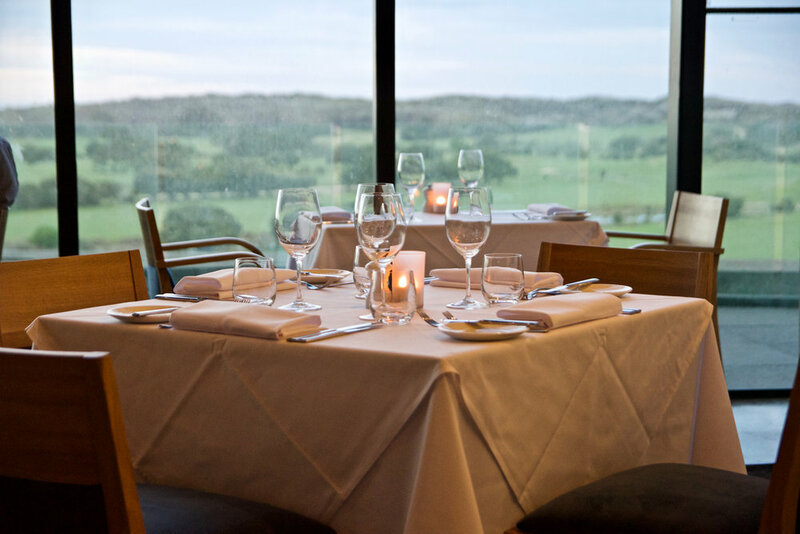 The expansive dining area is lined on one side with floor to ceiling windows showcasing the picturesque view over the manicured golf course out to Bass Strait. On the other side of the dining room sits the open kitchen, allowing you to observe the kitchen team at work. 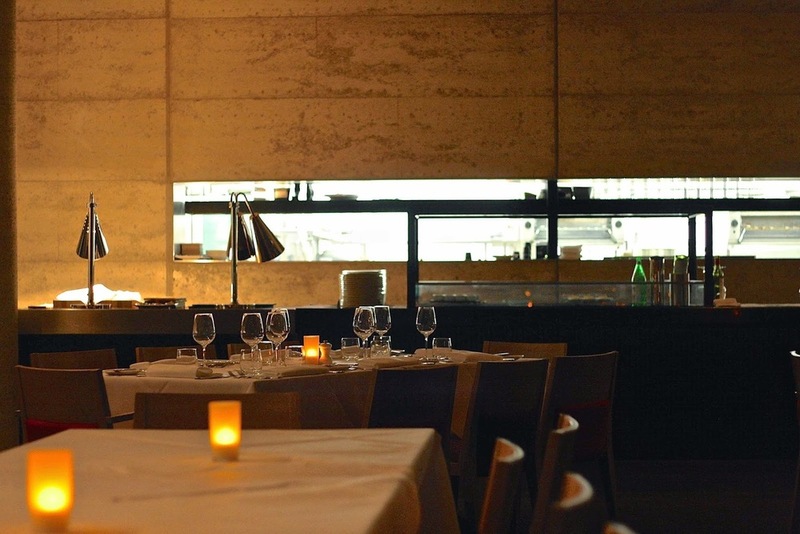 The relaxed ambience is underscored by generous spacing between tables. Clear thought has gone into the wine offering, making it comprehensive but manageable and with the bulk of the wines on offer over delivering in their price bracket. 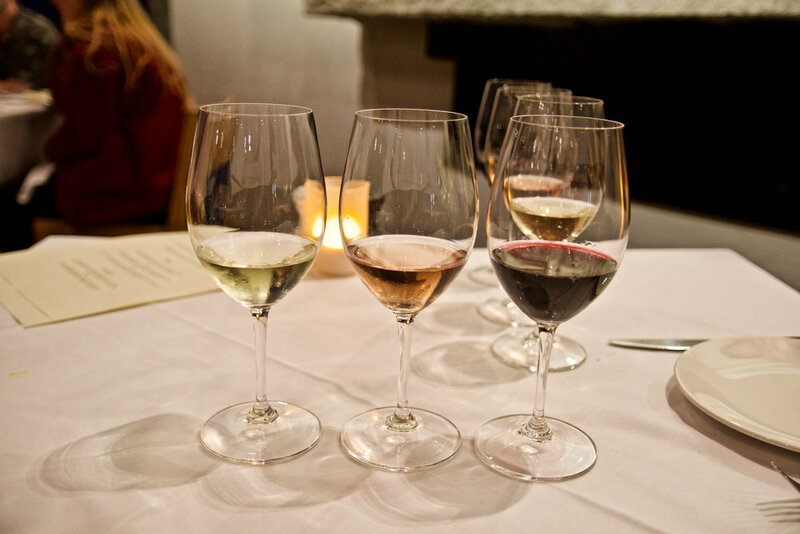 The emphasis on local produce also extends to the wine list, which incorporates a high proportion of local wines. To start we loved the Sher Wagyu sticky beef brisket - Umami-laden beef brisket that simply melted in our mouths were served with creamy carrot crème, ginger crumbs and radish salad. The Warmed house smoked King Ora salmon was similarly delicious. The savouriness of the salmon worked well against the cultured cream, spelt croûte, asparagus and salad burne. For the main affair, the dish of Humpty Doo barramundi with saffron braised leeks, onions and aromats was perfectly prepared. The quality of the barramundi was exemplary. The skin of the fish was perfectly seared to be very crisp while the flesh was delicate and moist. It was a dish that allowed the natural subtle sweetness of the fish to be enjoyed. For something heartier the Spiced Aylesbury cross duck breast was beautiful. The slices of duck breast were cooked to perfection with the nuttiness of the roasted witlof and slightly tart charred mandarin vinaigrette balancing the rich flavour of the duck. shaved cabbage and vegan chilli “aioli”, this was a moreish dish that left us wanting more. Our dinner concluded with 2 well-conceived desserts that exhibited flawless flavour combinations and textural diversity. 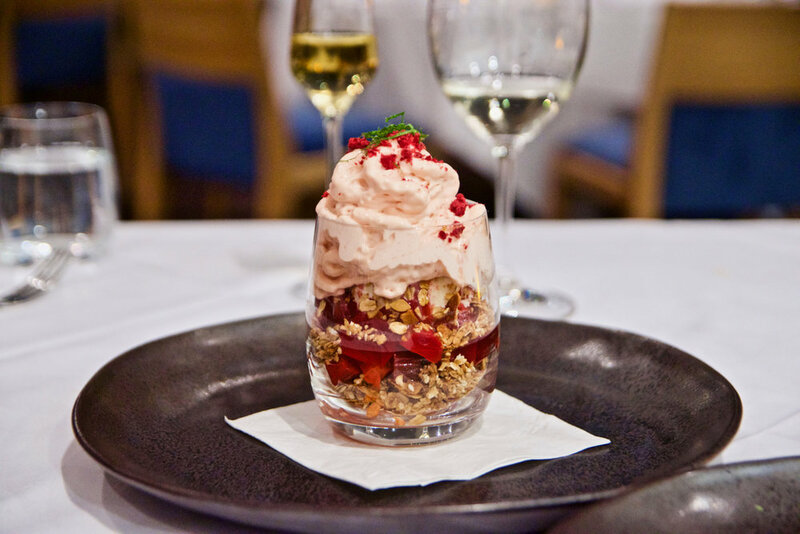 Think luxurious Coconut and lime semi freddo served with meringue and roast pineapple and refreshing Poached rhubarb and strawberry trifle with cream cheese ice cream. Just yum! 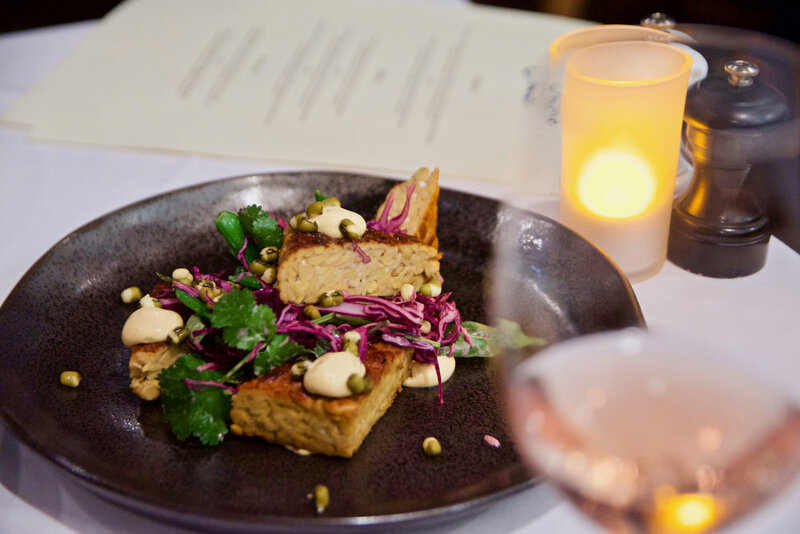 Combining simple, excellently executed and flavoursome food with warm, knowledgeable service and a well judged wine list, Number One provides a superb dining experience. Number One is a compelling proposition which showcases a wide variety of elegant, seasonal dishes prepared with skill and restraint. And it just so happens to be located in a resort if you fancy staying the night. 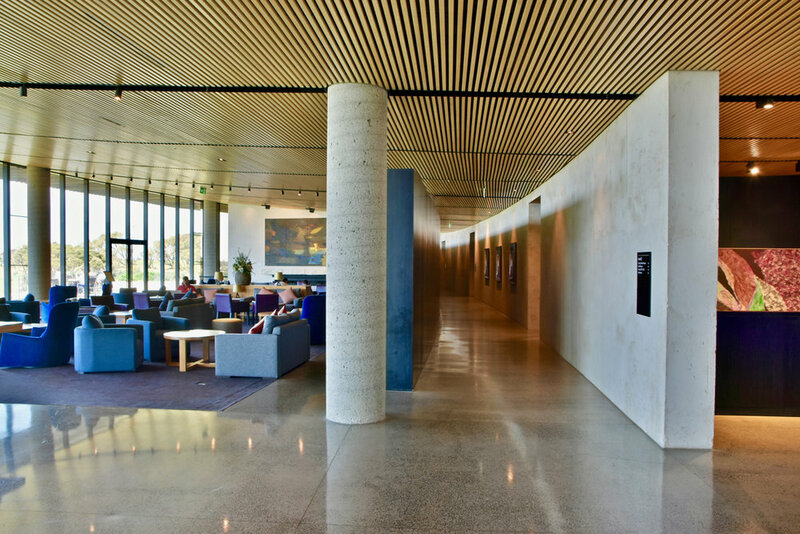 Without exception, staff at RACV Torquay Resort were professional, friendly and always worked hard to ensure our stay was as enjoyable as possible. 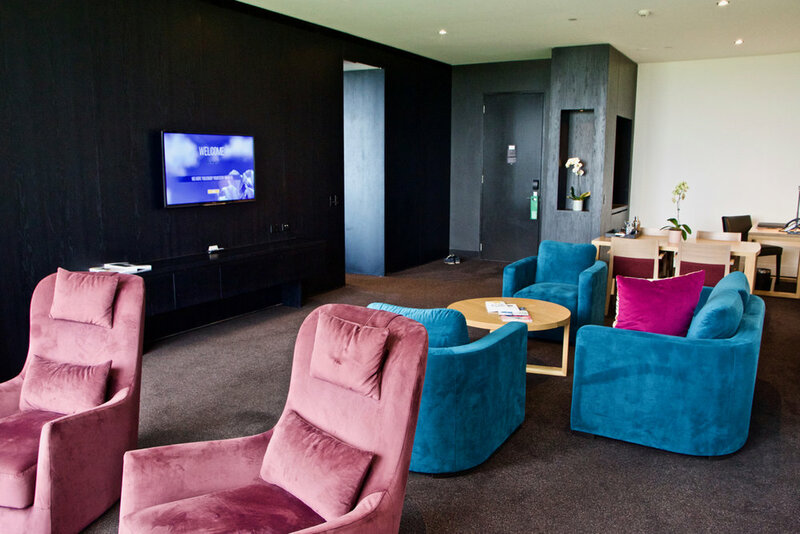 From the excellent food, fine wines and indulgent spa treatments, we enjoyed our weekend away at RACV Torquay immensely and simply cannot wait to return.